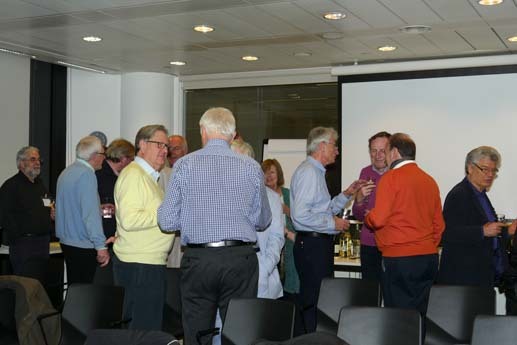 Nearly 50 members and at least one guest attended this year’s Christmas Drinks and AGM at More London Place on Tuesday 6th December. The wine flowed freely, mince pies and stollen were available in abundance and the atmosphere, as always, was convivial. Adam Phillips reported back the findings of the Survey of Members, Frank Winter brought us up to date with the rapidly growing oral history archive and Jane Bain announced both the dates/locations of next year’s events and plans for a new evening event – the inaugural Research Network Debate. Watch this space for more information.